Review of design, Evolution of proto type. services, guarantee, analysis of claims. contribution, quality cost, optimizing quality cost, seduction program. apparatus error and corrective methods. capability study, use of control charts. construction and analysis of C charts. ISO 9000 series, Taguchi method, JIT in some details. 1. Lt. Gen. H. Lal, “Total Quality Management”, Eastern Limited, 1990. 2. 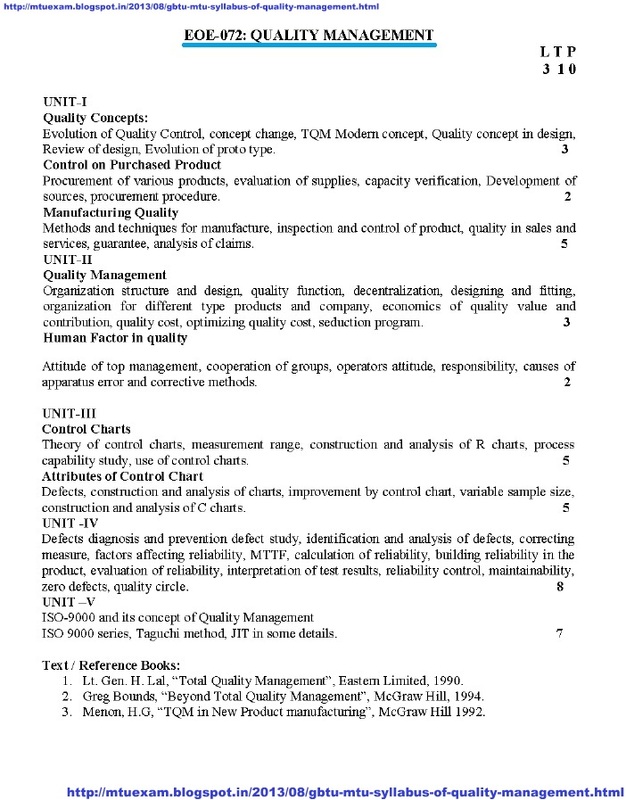 Greg Bounds, “Beyond Total Quality Management”, McGraw Hill, 1994.